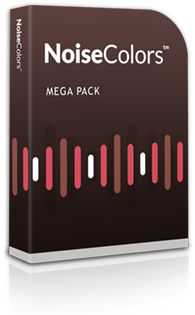 Discover Our Entire Noise Colors Catalog! Each session sounds slightly different, and can be adapted to different situations. 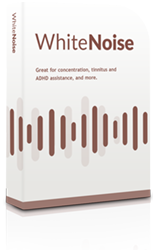 White Noise is higher-pitched and great for eliminating distractions. 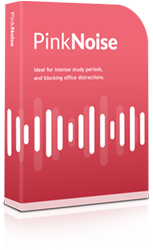 Pink Noise is a little lower and excellent at enhancing concentration. And Brown Noise is deeper and more suited to aid restful sleep. But don't worry about choosing the ideal session for you. Why not just try them all? We're now offering you the chance to grab copies of our signature White, Pink and Brown Noise recordings, each 70-minutes long - all together at one low price. White, Pink and Brown Noise has been proven by science - and when you purchase this collection today, you'll not only find yourself covered by our money-back guarantee, you'll also receive a 70-minute Oscillation version of each recording, a FREE usage guide - and you'll make a substantial saving on the purchase price too! The different "colors" is simply a way to classify the Noise, depending on spectral density. For example, White Noise typically has a flat spectrum over a specific frequency band.